Dan Liebman, Steve Haskin, Evan Hammonds, Lenny Shulman, Tom LaMarra, and Jason Shandler available for interview trackside at Churchill Downs in Louisville during "Derby Week" or via telephone. available for interview regarding the 135th Kentucky Derby. WHERE: Historic Churchill Downs in Louisville, Kentucky. 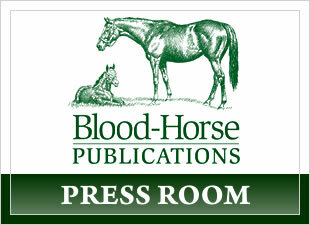 To receive the latest news and important information from BloodHorse.com via RSS feed , visit: BloodHorse.com/RSS.